How long until Windows 7 reaches End of Life? Find out how much time you have left before Windows 7 reaches its end of life. Windows 7 was one of the most beloved operating systems that Microsoft produced and many people are still using it to this day. According to NetMarketShare’s December 2018 data, Windows 7 still accounts for roughly 36% of the computers still in use globally. However, just like every other Operating System that has come before it, the end of life for Windows 7 is just around the corner. When the time comes, Microsoft will no longer release updates and security fixes and upgrading your computer will become an essential task that will need to be completed. When does Windows 7 reach the end of its life cycle? 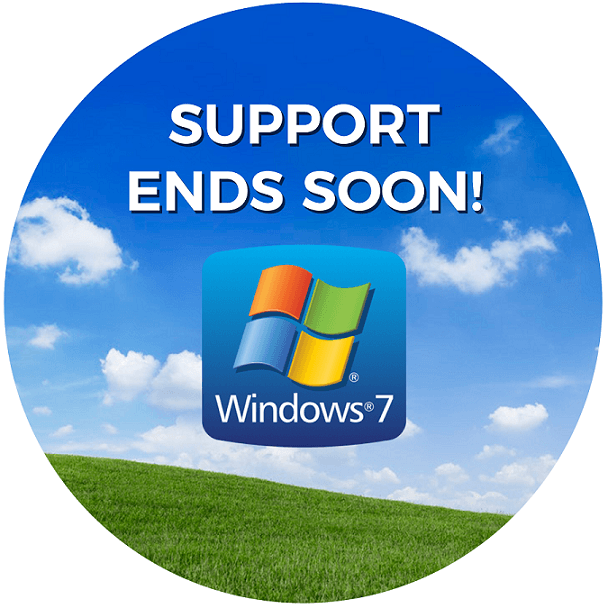 Microsoft ended their Mainstream Support for Windows 7 on January 13th, 2015 which means they stopped providing new features and moved the product into Extended Support where they continue to fix bugs and provide security patches but all of that is coming to an end on January 14th, 2020. No more support, updates, or security patches… A hacker’s playground. Windows 7, just like Windows XP, has a finite life span. Originally released in 2009, Microsoft has given it a nice lifespan of 10 years. They have moved on to bigger and better things, such as Windows 10. Your best bet is to upgrade to Microsoft’s latest Operating System, Windows 10 which was released in 2015, and boasts so many new features including apps that can be run across multiple devices, it natively supports touchscreens, and is much faster than Windows 7 ever was. Windows 10 is a bit different than Windows 7, but as a Windows user, you’ll catch on pretty quickly. Many computers that are running Windows 7 are great candidates for an upgrade to Windows 10. The upgrade process is relatively straightforward and you will be able to keep almost all of your programs. Give us a call and ask about our Windows 10 upgrade special. Within 72 hours or less, we can get your computer upgraded to Windows 10 and running faster than ever. Send us a message. We'll get in touch ASAP.